Is there such a thing as friendly divorce? We think so. This blog is about how you can move past revenge towards a friendly divorce. If you are experiencing a divorce, check out our blog on the Top 10 Songs about Divorce and Top 10 Songs about Conflict. In addition, if you haven’t decided if you should divorce or not, read this blog about choosing whether to divorce and mediate. Mediation is often more appropriate than litigation, given that parties are not required to follow a strict set of rules, and parties achieve emotionally satisfying results because the process has been designed to satisfy these unique needs. Amicable divorce still takes into account and must respect legislation and regulations that guide family law, but provides increased flexibility to parties to come to an amicable solution. Some people have questioned the benefits of amicable divorce, some calling it “the good divorce myth”. In a news article from 2014, the DailyMail noted a study that questioned whether mitigating family conflict had any improved impact on children (see Amicable Divorce). Specifically, they stated that divorcing couples that try to remain friends to help their children would have little positive impact as a result of this strategy. On the contrary, much research has been done that encourages parties to reduce the level of destructive conflict between one another to benefit their children. This research, which encourages conflict resolution, does not state that couples breaking up must be friends per se; rather, but rather they must reduce the level of conflict (see also conflict escalation). Amicable divorce helps you take care of yourself – Divorce can be one of the most difficult times for a family unit to endure. When you are kind to yourself as a divorcing parent, you will be more effective at managing yourself on a daily basis through this crisis. 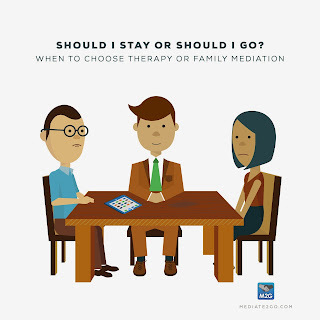 Family mediation provides a way for you to peacefully resolve your marriage break-up so that you may better satisfy your needs. The court system and family litigation process is not designed to help you take care of yourself. Amicable divorce helps you learn how to address conflict – Through participating in an amicable divorce process, you may learn new skills to address conflict in your relationship with your ex, in addition to your relationships with other people. The skills you practice in an amicable divorce can help you address issues in the future. Read more about the benefits of Alternative Dispute Resolution. Amicable divorce helps you find happiness and change – “if your marriage fails, you are likely to feel a whole range of intense emotions: sadness, anger, hurt, fear of an uncertain future, loneliness, confusion over the many decisions you must make, and a sense of failure at your lost plans and dreams” (CMHA). Amicable divorce might increase the chances that you can again, satisfy your deeper needs and interests. Instead of focusing your energy on competition, arguing and fighting with your ex, amicable divorce through family mediation allows you to quickly find a way to move on. Amicable divorce helps you prevent emotional turbulence for your children – “During a divorce, parents can do a lot to ease the child’s transition. As a divorcing parent, do your best to keep any conflict away from the kids. Ongoing parental conflict increases kids’ risk of psychological and social problems” (APA). Through amicable divorce, your children are less likely to be exposed to on-going, damaging conflict. Check out our detailed blog about managing and coping with divorce effectively when children are in the picture. What does amicable divorce look like? Parties request the help of a neutral third party known as a mediator. 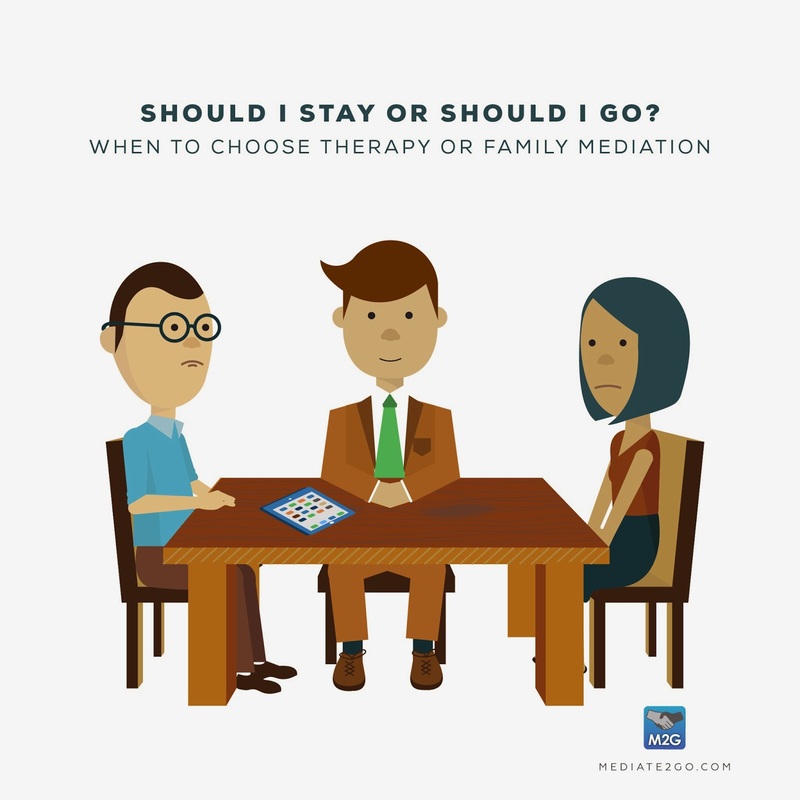 The mediator works with each party to identify and clarify their deeper needs during a pre-mediation session. The second part of the process is the actual mediation, where the neutral third party helps parties identify shared concerns, exchange information, brainstorm solutions and come to an agreement. Read more about the benefits of mediation services and how ADR can help. Do you want to try it out? Find a mediator. In this process, parties would each retain the services of a collaborative lawyer. The lawyers would do their best to help parties achieve an out-of-court agreement. Failing this, the parties would be required to retain other lawyers, so as to encourage the collaborative lawyers come to an amicable solution. Are you looking for a collaborative lawyer, check out this directory. Overall, amicable divorce will help you get better results than you might expect from court (in many cases). Family mediation “has produced better-quality results for both children and parents than litigated rulings.” The goal of amicable divorce is to satisfy parties in many ways. Mediation has the goal of ensuring that the parties’ human needs are met and goals achieved. 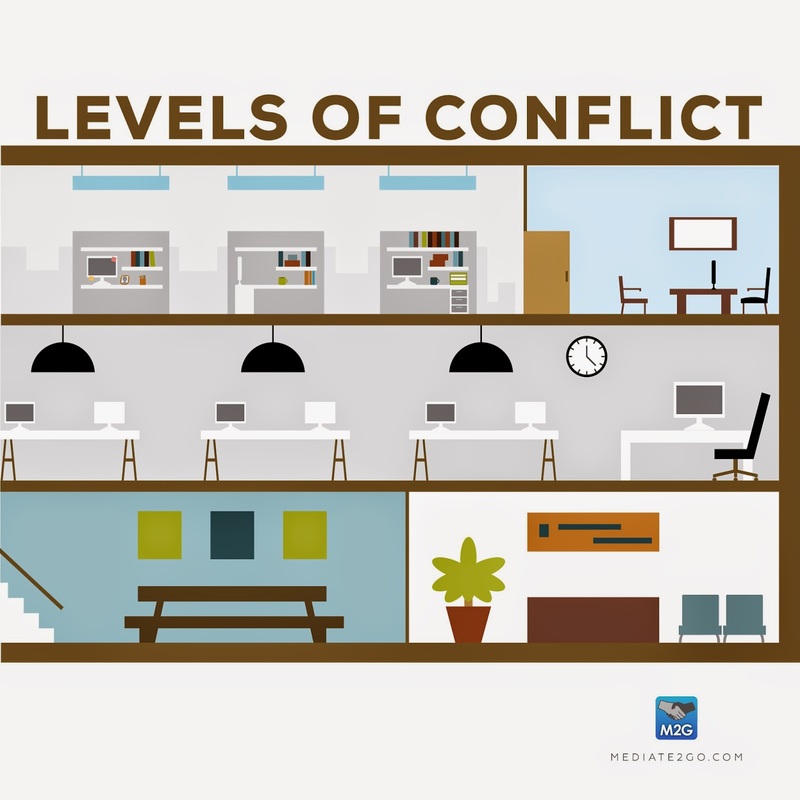 In this view, mediation aims to reduce the pain that parties experience as a result of intractable conflict. The mechanics of the flexible and informal mediation process help parties reduce the emotional and economic burdens of parties in dispute and the use of public resources to settle these disputes through the court. If you are faced with divorce or separation, consider trying a different approach. In the end, you are likely to save money, time and also your relationships. 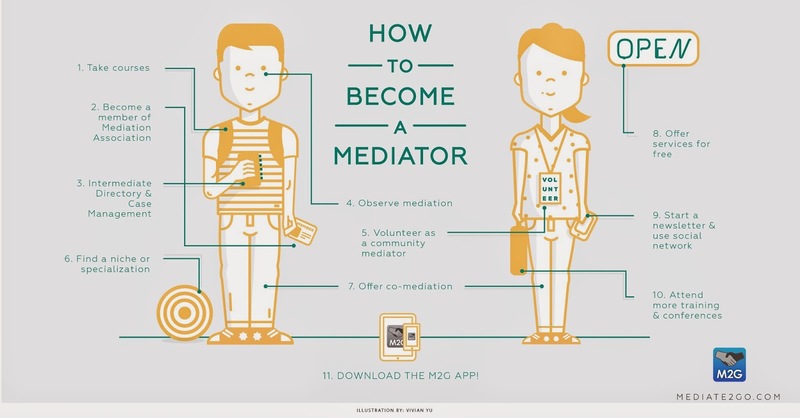 Find a mediator.